Taapsee Pannu’s latest release Badla has been appreciated both by the audience and the critics alike. The movie also stars Amitabh Bachchan and has marked the second collaboration between the two. Directed by Sujoy Ghosh, this thriller is making big money at the box office and is still continuing strong in the second week of its release. There have been reports that the Tamil remake of the movie is in talks and producer Dhananjayan has recently acquired the remake rights. 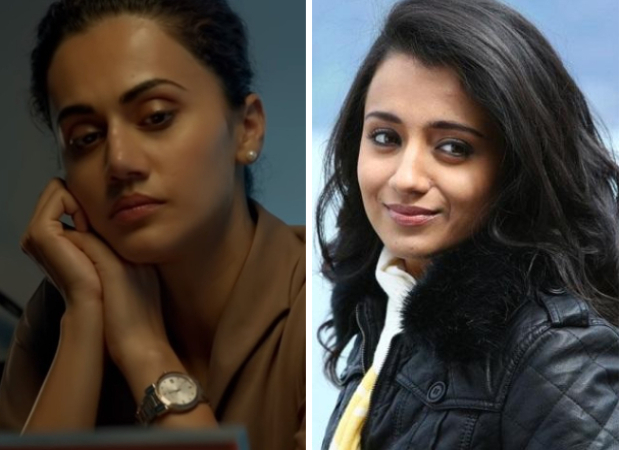 The project is yet to be officially announced and actress Trisha might be roped in for the same. Trisha is one of the most talked about actresses from the South and has also done a Bollywood film with Akshay Kumar, Khatta Meetha. Apparently, the makers are in talks with her for this intense role. Dhananjayan had already acquired the remake rights of Vidya Balan starrer Tumhaari Sulu and was quite appreciated for his project. The movie in Tamil was titled Kaatrin Mozhi starring Jyothika in the lead role. Talking about her other projects, Taapsee will be next seen in Mission Mangal.